The worst time to think about the health of your heater is right after it breaks down. Heater maintenance and tune-ups can keep your heating unit running efficiently and effectively for much longer. That way, you can avoid costly surprises and uncomfortable periods without heating. 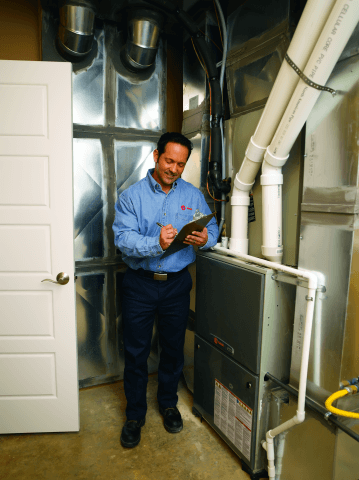 At Cote’s Mechanical, our professional maintenance and tune-up services involve more than just working off a checklist; we look at every aspect of your heating system to make sure that it’s working as intended. If there are problems, we’ll talk with you about repair or replacement options. Improved performance – You will notice fewer cold spots and a warmer overall house. Lower energy costs – Paying for a warm house can be daunting at times. However, with a well-maintained system, you’ll see a decrease in your utility bills. Fewer repairs – When your system is well maintained, you’ll be less likely to need repairs today and later down the road. Longer life – Add life to your unit to avoid needing a replacement too soon. The best time to have your system tuned up is right before the season’s change and the weather turns cold. That way, you will be well prepared for the change in temperature ahead, and you’ll not have to face any cold days with a heater that is not working. However, you can always call us at other times of the year for tune-up services. Your heating system gets dirty after months and years of use. Dirt, dust, debris, hair, and chemicals all find their way into your system and build up over time. Do you want to breathe this dirty air every time you turn on the heater to warm up your home? Here at Cote’s Mechanical, we offer thorough heating system cleanings. We clean all units and even offer vent and duct cleaning too so that you end up with a clean system and clean air. You’ll breathe easy knowing that the job was well done, and the system is no longer harboring allergens that make your home and air dirty. If you’d like more information about our heating maintenance and related services here at Cote’s Mechanical, contact us today. We’d love to show you what we can do for you.